This automatic movement watch features a 44mm stainless steel and black PVD case, crystal sapphire front and back, date display, and a screw down crown with the iconic “Jake” logo. 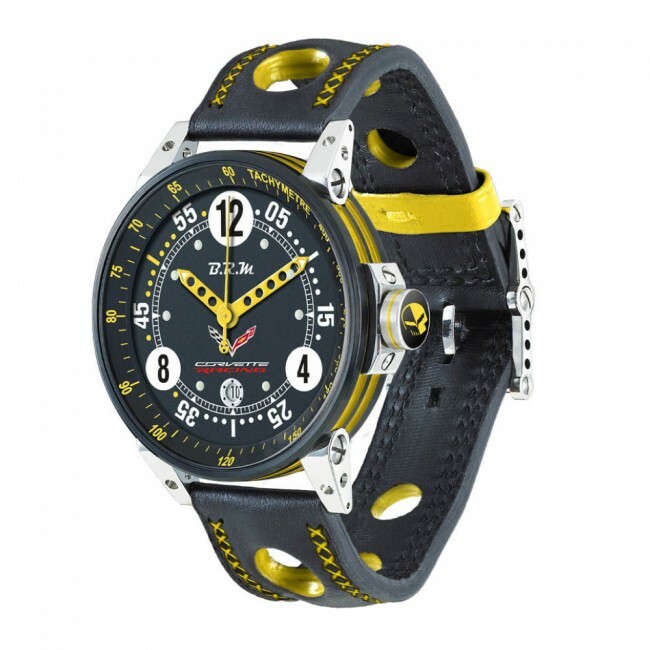 The dial features the Corvette Racing Crossed Flags logos. Water resistant to 100 meters. 3 year manufacturer’s warranty.